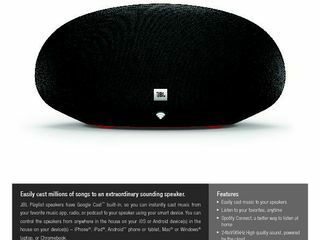 IFA 2016, BERLIN – HARMAN International Industries, Incorporated (NYSE:HAR), the premier connected technologies company for automotive, consumer and enterprise markets, today unveiled JBL Playlist, a smart Hi-Fi home speaker with Google Cast built-in for a hi-resolution audio experience that takes connecting your favorite music to a whole new level. 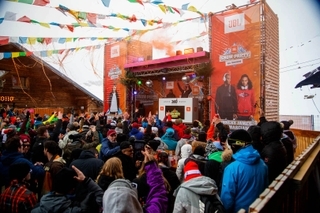 JBL Playlist allows anyone to instantly stream music, radio, or podcasts directly from their Android phone or tablet, iPhone, iPad, Mac or Windows laptop. 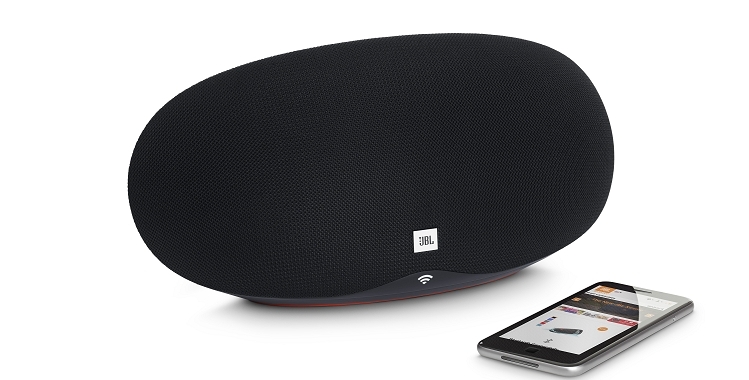 A key competitive advantage of the JBL Playlist is the built-in Google Cast technology which works over Wi-Fi and allows users to easily cast audio from popular music services like Spotify and Pandora without pairing via Bluetooth. Users can enjoy higher audio quality than they would with a Bluetooth speaker due to use of Wi-Fi. With JBL Playlist, music is sent direct from the cloud to the speaker, instead of from their mobile device resulting in truer sound. When steaming over Wi-Fi, the need to be within a fixed proximity to connect to the speaker is also eliminated. With JBL Playlist, listeners can seamlessly play music by simply tapping the cast button from within a favorite music service on their smart device. 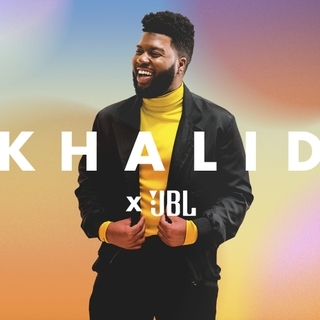 To further amplify the listening experience, JBL Playlist connects to other JBL Google Cast speakers. With Multi-Room capability enabled, music lovers can easily fill every room in their home—bedroom, kitchen, living room, or wherever they have a JBL Playlist speaker connected—play the same music throughout their home. JBL Playlist is designed with a wide-open surface for unrivaled sound quality and it features a passive radiator for world class bass performance. Its distinctive matte finish and grille fabric cover offers a sleek look that perfectly complements any room. The JBL Playlist is available in black, blue, and white. Easily cast music to your speakers: With Google Cast™ speakers, Google Cast™ is built-in. Just tap the Cast button from your favorite mobile music apps to instantly start playing on the speakers. Spotify Connect, a better way to listen at home: Play Spotify through your speakers, laptop and TV, using the Spotify app as a remote. Use the "One Touch" Play feature on Playlist speaker to play your favorite playlist instantly. Simple setup and multi-room control with Google Cast™ app: Easily set up your system and control multi-room playback with the Google Cast™ app. A step by step in-app guide you can quickly start streaming your music. The JBL Playlist is available at www.JBL.com and select retailers for €179,- starting October 2016. As part of a limited time offer, purchasers will receive a free, three-month subscription to Google Play with the purchase of the JBL Playlist speaker.